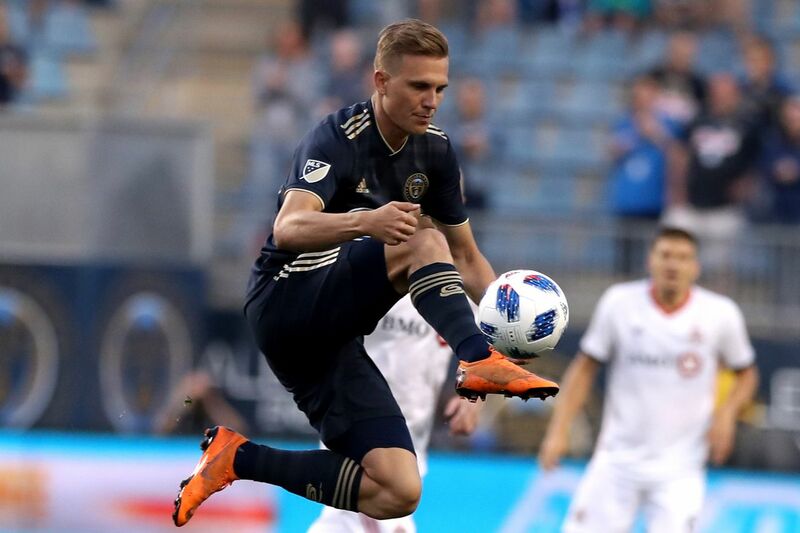 Borek Dockal’s 15 assists for the Union this season is the second-best total of any player in MLS this season. Early in the season, some Union fans thought Borek Dockal was on the way to becoming a $1.7 million bust. Now, though, there's no doubt the Czech midfielder has been well worth the largest salary in team history. Dockal leads the Union with 15 assists and an average of 2.6 chances created per game this year. The assists total is the second highest in MLS; the chances created per game rank 10th. And he's scored five goals, too. He's done all that while fighting a series of ankle injuries. Now that the team doesn't have a midweek game for the first time since early September, he's finally gotten some recovery time. "I feel like I'm almost back to normal," Dockal said. "I'm trying my best to be 100 percent on Saturday." He feels the intensity of the playoff race, especially with the Union one win away from their first trip to the postseason in two years. "Everybody's now talking about the game against Minnesota [on Saturday] like we're chasing the playoffs — we've been chasing the playoffs the whole year," he said. "It feels a little bit special now because we have a chance to complete the mission." Dockal's good form has earned him his first call-up to the Czech national team in nearly a year. The Czechs visit rival Slovakia on Oct. 13 and Ukraine on Oct. 16 in the new UEFA Nations League. It's an endorsement not just of Dockal, but also of how MLS is seen in Europe. "I think 10 years ago, it would be much more difficult to get a call-up from the national team [in MLS] because we had a better generation [of players] and maybe MLS was not that good," he said. "Today, I think there are a lot of good players in the league. … They are watching the games [at home], they can see the quality, and there's no doubt that this league can prepare players well enough." As the spotlight grows on Dockal, it's important to remember that he's here only on a one-year loan. Chinese Super League club Henan Jianye still owns his rights. The deal didn't include a pre-set purchase price, which many loan contracts have. Dockal was brought here by Earnie Stewart, but his future will be decided by Ernst Tanner. And there's another complication: Henan Jianye is in next-to-last place in the Chinese league, and in danger of relegation. "It's not in my hands," Dockal said. "Let's wait a couple more weeks and let's try to negotiate. … It's not only about what I want." M Darwin Quintero: The Colombian playmaker is smart, creative, and wonderfully unpredictable. He has 10 goals and 13 assists this season. M Miguel Ibarra: He played for the Loons in their days in the old second-tier North American Soccer League, then went to Mexico for a year-and-a-half. He came back when Minnesota moved up to MLS, and regained his status as a cult hero. F Angelo Rodríguez: Another Colombian, he joined the team in August and has three goals in seven games. Two came in last weekend's win over New York City FC.